Welcome to the Q-sport Blog! Socks Made in the USA! 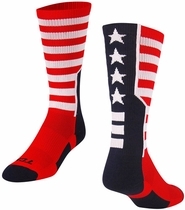 Q-sport is proud to sell socks that are Made in the USA! Q-sport partners with the Ohio Valley Region for the Bid Qualifier and the Girls' Volleyball Championships in Columbus, OH.